Sphygmograph, 4 tambours and 4 pens (one broken), cur pressure, with box of accessories, Dr. A.G. Gibson's Clinical Polygraph, made by Hawksley and Sons Limited, 357 Oxford Street, London, England, 1900-1910. 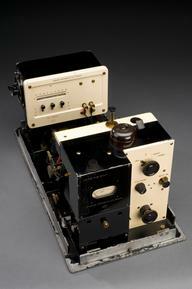 Gibson’s Clinical Polygraph was a more complex variation on the standard sphygmograph. 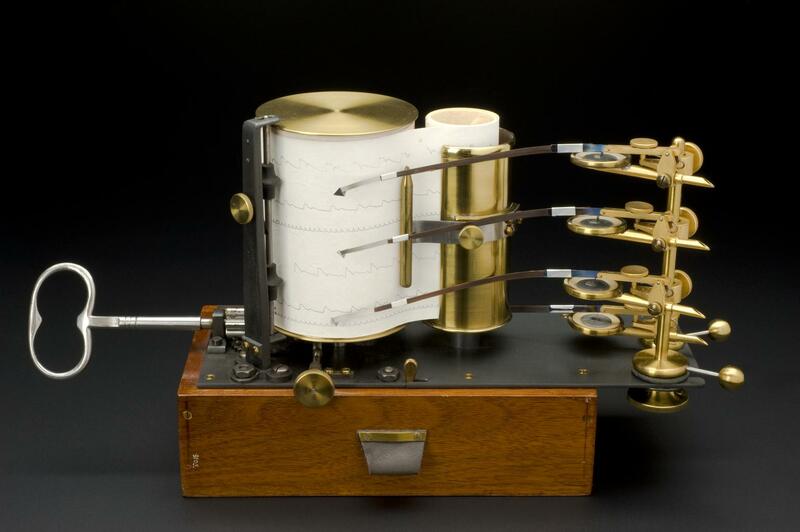 A sphygmograph displays the pulse beat visually by recording the movement of the pulse on paper. Gibson’s Clinical Polygraph is powered by a clockwork mechanism. It let a physician simultaneously record the so-called apex beat (the actual rate of heart beat) with their respiration rate (the number of breaths they are taking). Dr A. G. Gibson was a prominent scientist based at the Radcliffe Infirmary in Oxford. The instrument was made by instrument maker Hawksley and Son in the early 1900s. Polygraphs monitor physiological responses. These include body temperature and blood pressure. They have been used in non-clinical environments. Polygraphs are popularly known as lie detectors. They have captured the public’s imagination as a way to detect if a person is telling the truth.